Picksons offers a wide range of Granning Axle Parts and airbags. Granning Lynx manufacture drum and disc brake axles for trucks, trailers, agricultural machines and screening crushing and mining equipment. Relying on their quality and depth of engineering support, they offer solutions from concept to production giving companies greater flexibility coupled with modular assembly. 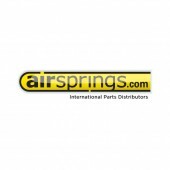 Airsprings.com was originally introduced as the Airspring brand of Granning Lynx. Products distributed under the Airsprings.com brand now include Airsprings, Shock Absorbers, Brake Drums, Brake Discs, Truck and Trailer Springs and Brake Calipers, in addition to our own branded products we are also main importers and distributers for world leading brands such as Firestone, Goodyear, SV, Sabo, Wabco, Haldex, Textar and Covind to name but a few.